New Shelter, Brighter Future for Animals. We Need You! History: The Lenoir County SPCA has operated the county animal shelter (which is jointly owned by Lenoir County and City of Kinston) for almost 40 years. We are one of only a handful of animal shelters in NC which are run by a non-profit organization instead of that county's animal control department. We are an open-door shelter and annually accept 2,500-3,200 lost, homeless, neglected, abused animals from Lenoir County, NC. We do not limit intake based on health, temperament or age, and we do our best to give every animal a second chance in a loving home. Why Build? We're building a more humane future. The current shelter is nearly 40 years old and not conducive to housing animals well while they wait for new homes. It’s inefficient to manage and maintain, cramped for animals, visitors, volunteers and staff, and does not contribute to the animals' health and well-being. As shelter standards continue to improve, we’re finding it increasingly difficult to update the shelter enough to properly care for the animals. Through the years and thanks to the support of our community and volunteers, we've patched, painted and decorated, upgraded existing kennels, added more indoor and outdoor kennels, added on rooms and repaired the shelter as needed. After reviewing options, it’s simply no longer feasible to continue investing in a building which we do not own. Where Will We Build? We have purchased property on Hwy 258 N in Kinston and are finalizing building plans, so now all we need is YOU to help us reach our goal! Thanks to compassionate donors & several significant contributions, we’re on our way to a great start. The animals need you. Please donate generously and give homeless pets a second chance! 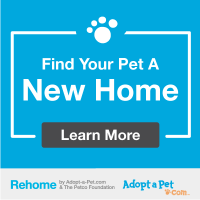 Naming Opportunities Support the mission of the SPCA and demonstrate your philanthropy by investing in the new shelter. Helping Paw Donations from $250-$1500 will help us purchase needed equipment, furniture and supplies. We plan for these donations to be listed in a display in our new lobby.